Evariste Galois was a French mathematician whose work laid foundations for group theory and Galois Theory. He was the very first person to use the term ‘group’ as a technical word in mathematics. Evariste Galois was born on October 25, 1811. His father, a member of the French First Republic, headed Bourg-la- Reine’s liberal party. After the return of Louis XVIII to throne in 1814, Galois’ father became mayor. His mother was a great reader of classical literature and Latin and this influenced Galois’ education for the first 12 years. In October of 1823, he joined Lycee Louis-le-Grand where he managed to perform very well even after experiencing some difficulties. After his prize in Latin, Galois became bored with his studies. At 14, he began to focus on mathematics. Galois read Elements de Geometre by Adrien Marie Legendre and at 15 years old, he had gone through many books on mathematics. In 1828, Galois attempted an entrance examination for Ecole Polythechnique. He failed this exam due to lack of good explanations on the oral section of the examination. He later joined Evole Normale, a much inferior institution for his mathematical studies. Galois’ first paper was published in 1828 and it was basically about continued fractions. During this time, he began making some fundamental discoveries in theory polynomial equations. In 1829, he tried for the second time to join Ecole Poltechnique, but he failed again. Having failed for the second time, he decided to take baccalaureate examinations which would enable him join Ecole Normale. He managed to pass the examinations and he received his degree on December 29, 1829. He submitted his own memoir on the equation theory a few times, but it was never published. Despite this, Galois published three papers in 1830. The first of these papers laid foundations for the Galois Theory while the second was about numerical resolution of the equations and the third was about number theory. While many other mathematicians before Galois had already given consideration to what we know as groups, Galois was the very first person to use the term group in the technical sense. This made him famous among founders of a branch of algebra called “group theory.” He also developed a concept that is now known as normal subgroup. Evariste Galois also introduced the idea of finite field, also called the Galois field. Galois got involved in politics and this led to his expulsion from Ecole Normale. In 1831, Galois quit school and joined the artillery unit of National Guard. He divided his time between mathematics and politics. In the same year, Galois was heading a protest, wearing a uniform of the disabled artillery. He was heavily armed with pistols, a dagger, and a rifle. He was arrested for the second time. He was sentenced to six months in prison for the crime of wearing a uniform illegally. He spent his time in prison developing mathematical ideas and after nine and a half months, he was released. 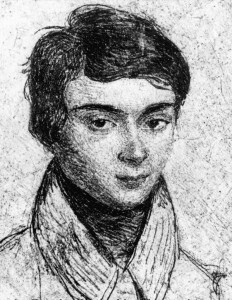 Evariste Galois returned to his work on mathematics after being expelled from Ecole Nomale. He tried to start private classes in advanced algebra, but he was not successful. He still continued to participate in political activities. On May 30, 1832, Galois was shot during a duel and he died the next day.